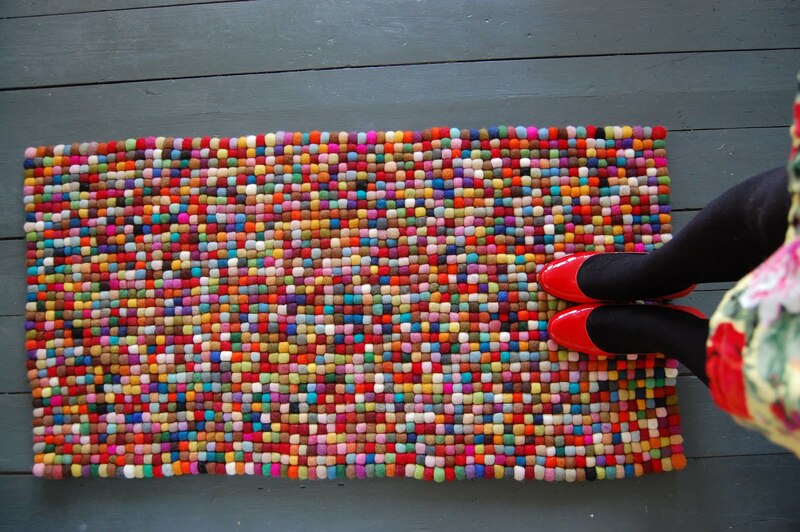 I am inspired by this colorful Pinocchio wool rug that Mia took photos of over at Solid Frog. Isn't it super cheerful?! I also like the one below that Zoe found and pieced together -- what an awesome find. How beautiful!!! There are a lot of cooperatives working with felt here in Bolivia. I have seen lots of stuff made by them but not something like this... very nice! this would instantly boost the energy of any room - how fun! Wow, funny and looks so soft! It is a delightful rug! I love what Zoe did with the pieces of rugs! 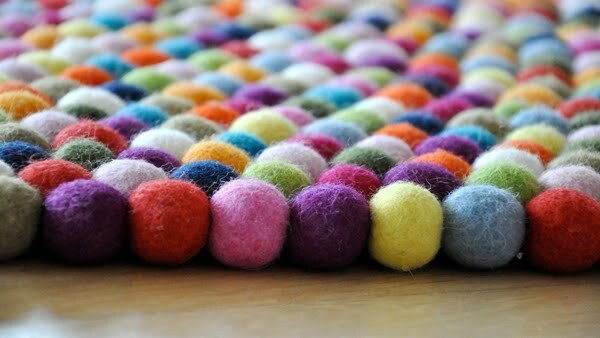 I've started an incredibly ambitious project to make my own felt ball rug. I'm winding each ball by hand then needle and machine felting. I'm completely in love with these. They could look amazing in almost every room in my house! 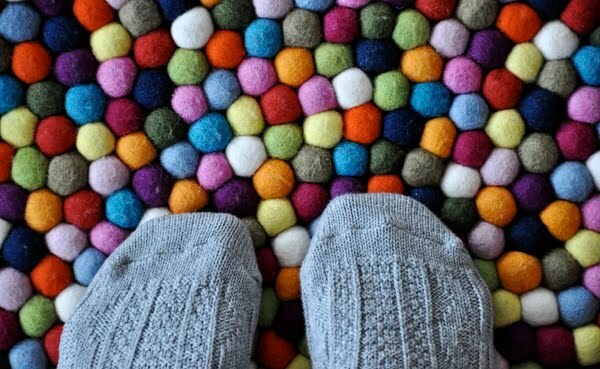 wow.. this is a really textural rug! I almost want to feel it on my feet. Love all the colors too. I love this carpet. I want it. oh how i want... i think my pup would want to chew it to pieces! beautiful though. Oh - so cheerful & lovely! & I bet it feels nice on the toes, as well! That rug looks like so much fun! On the subject of felt...have you seen this felt wreath?! ?